Borderlands "Take Over Your Life Bundle" also available. This causes a bug where a cutscene doesn't play early on in the story line (Lost Legion Invasion) and the player is stuck in a container, unable to continue. 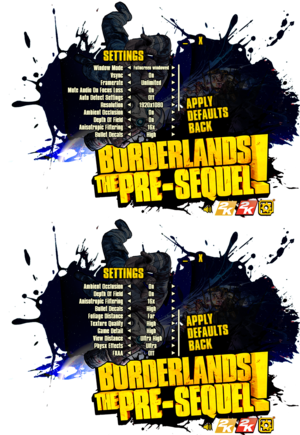 Save games are cross-platform when saved by the same version, but require a manual transfer between systems. 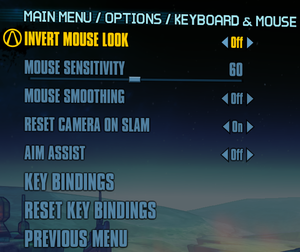 FXAA with on/off toggle only. Optional frame rate cap or smoothing. 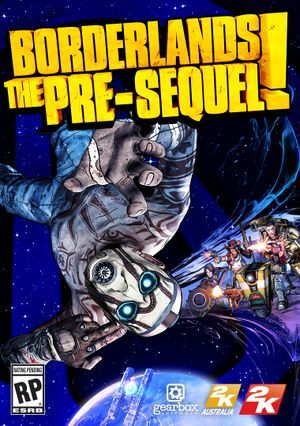 Under Profiles select Borderlands: The Pre-Sequel. Under Ambient Occlusion compatibility insert the compatibility code 0x0000002F. Find the following line and set it to 1 for an Xbox controller or 2 for a DualShock controller. 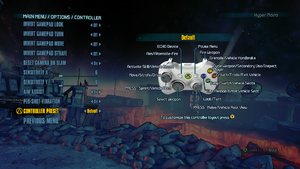 See Borderlands : The Pre-Sequel 3D Vision Patch. Some Linux distributions and GPUs may see blocky, unreadable, or corrupted-looking text on the in-game fonts. 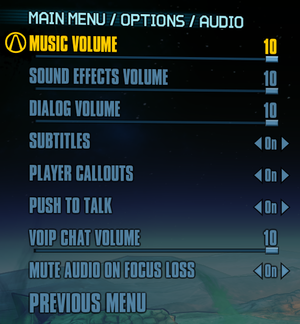 This can be fixed by disabling the Steam overlay. There are multiple methods of fixing this issue. Right Click on WillowGame.ini and select the Read Only checkbox located at the bottom then push OK.